We would like to thank the Patti Haskin's Shop for use of this photo. The satisfaction of clicking on "publish post" after finishing my blog entry last week was quickly replaced with a little embarrassment. 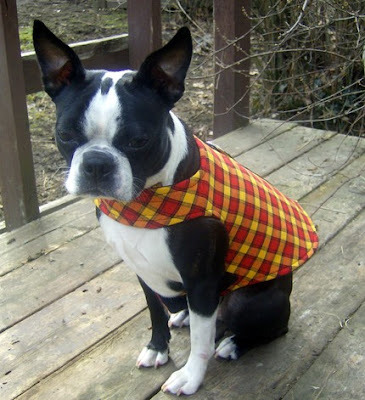 It seems that being an advocate (no matter how small) for the ASPCA's Prevention of Cruelty to Animals program, “Go Orange for Animals” takes a certain amount of planning. Layla Grace and I were due at the hospital for her therapy dog shift and we had "nothing (orange) to wear". 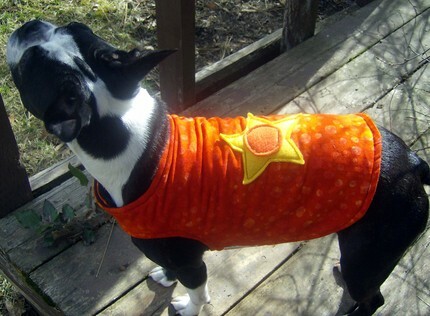 Wearing an old orange tie-dye T shirt, I ended up rushing into the pet store to buy their only orange collar. 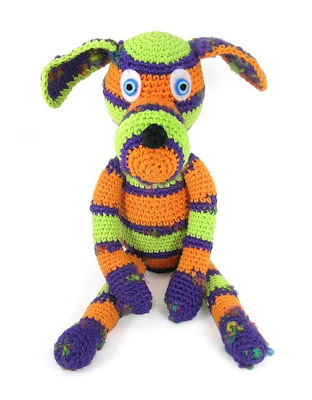 Today, with the help of some of my Etsy peeps, I am posting a few fun"orange" Etsy finds for you or your Sweet Dog to wear/use in support of the ASPCA campaign. Also, you can check out the ASPCA online store. 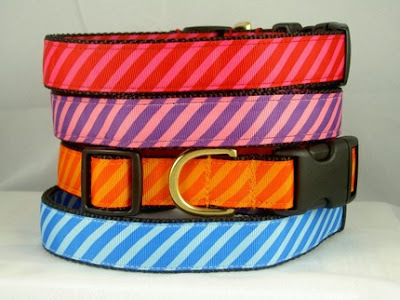 If you find something Orange that you love , leave a comment (with a link) and I will add it to our list! 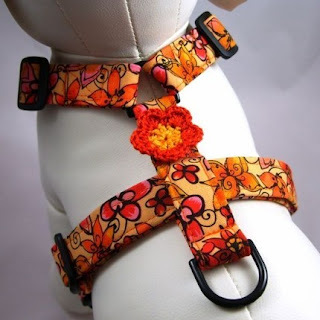 This lovely adjustable dog harness is from Gatorgrrl Boutique. This very cool Hawaiian shirt for your Sweet Dog is offered by rocstar dog boutique. Here is a fun orange collar for your Sweet Dog from Pet Elegance on Etsy. 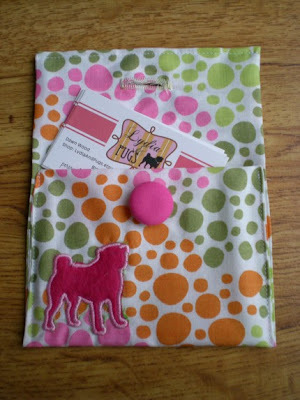 Entrepreneurs - Lydia and Pugs has a cute card holder with orange dots for your store or home office. 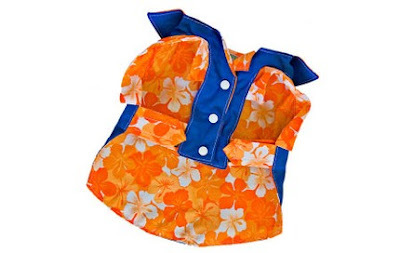 I love these orange Coat-Vests for walking your Sweet Dog from Terrier Trousers. 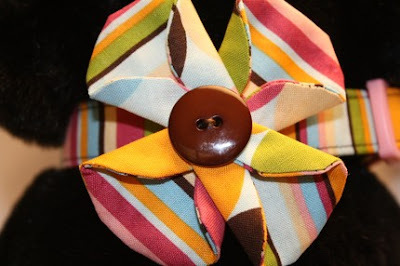 This collar flower, called "Happy All Over", is handmade by Coley's Collars.